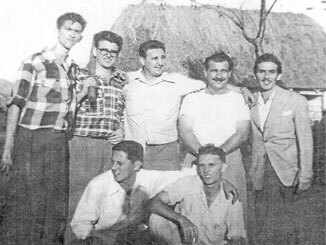 Abel Santamaría, like so many youth of the era, expressed his outrage in the face of such unconstitutional events, and it was enough for him to meet the young lawyer Fidel Castro – in Colon Cemetery – to seal his commitment to action. The rebels left Havana via several different routes – some by train, others on the bus, and a few in cars. On the 25th, blending in among carnival-goers, they were taken in small groups to the Siboney farm.